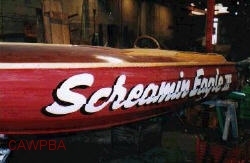 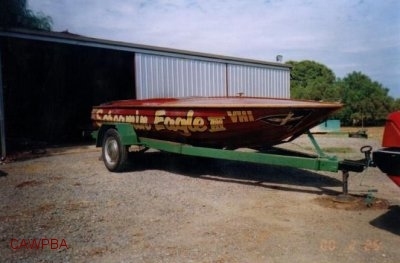 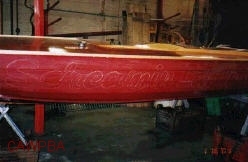 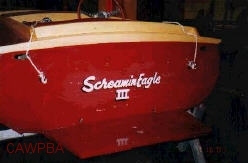 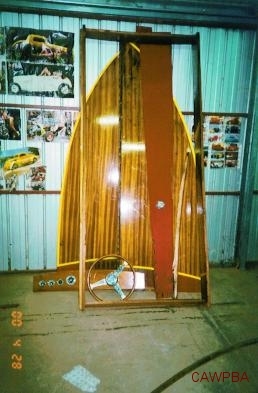 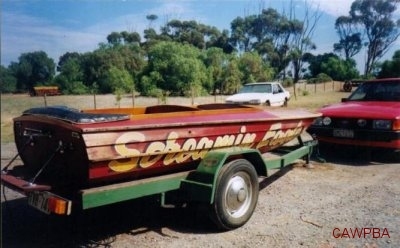 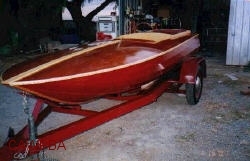 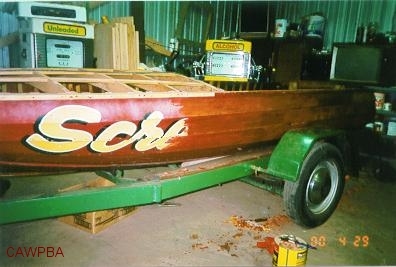 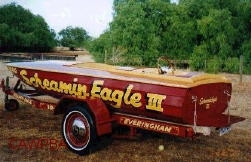 Screamin' Eagle III is an Everingham skiff built in 1968 for Ian Harvey of Victoria. 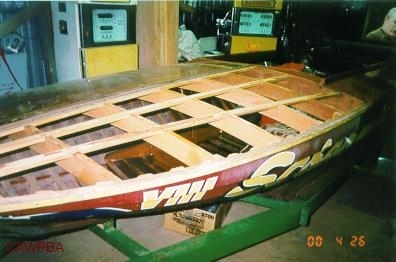 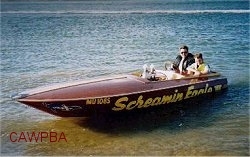 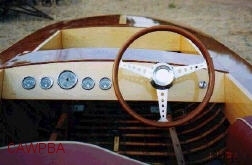 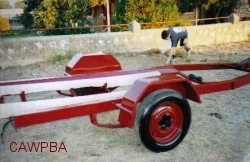 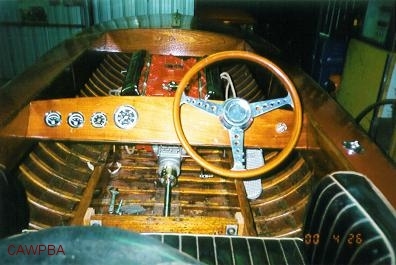 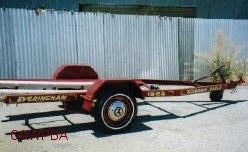 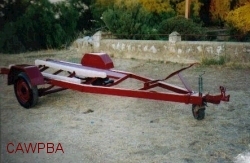 The boat was raced with a variety of engines during its racing career. 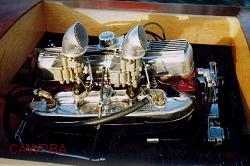 The engines ranged from a Waggot Holden in the 155 ci class to a Repco Brabham V8. 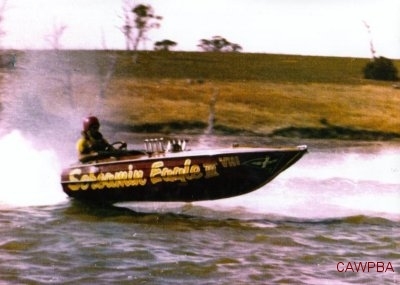 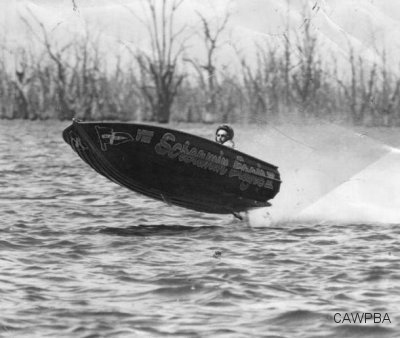 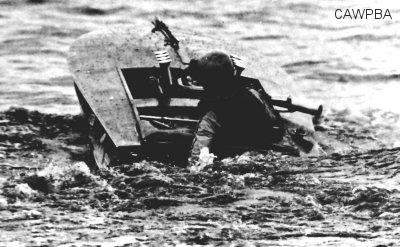 The boat had a reasonably successful racing career in the hands of Harvey, as well as other drivers such as Ron Hull and Col Winton. 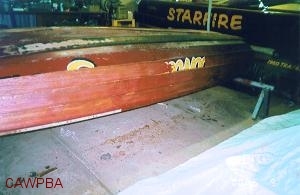 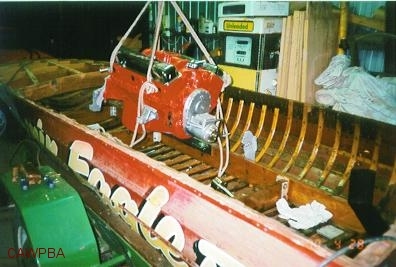 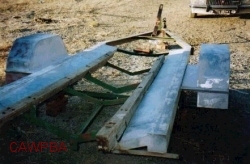 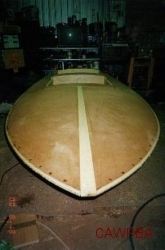 After tracking the boat down in Melbourne in 2001, Paul Siddall obtained the boat in February 2002 and took it back to South Australia for restoration. 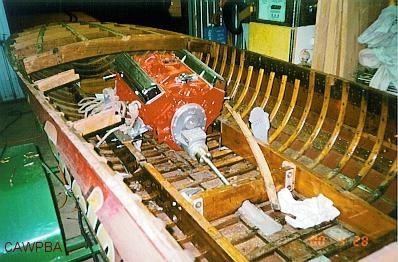 When obtained, the hull was being converted to a runabout, with a forward cockpit being installed. 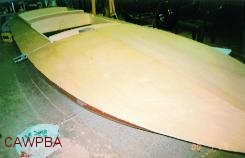 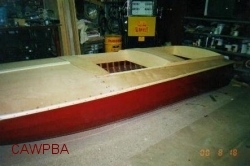 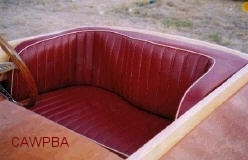 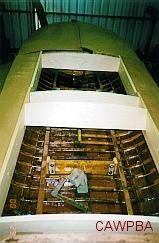 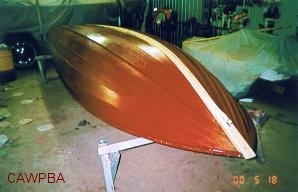 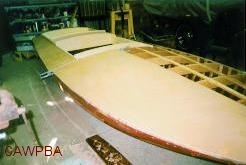 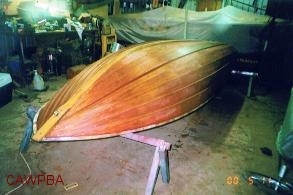 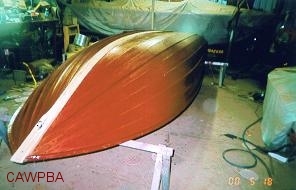 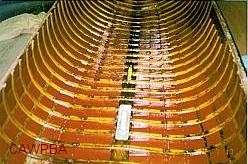 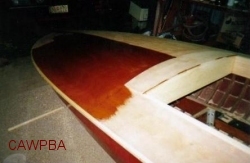 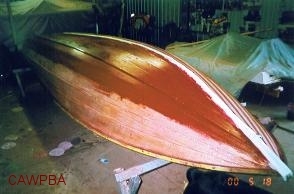 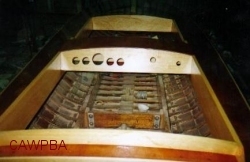 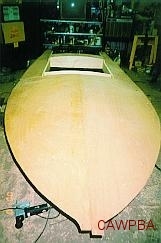 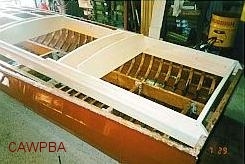 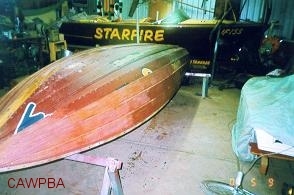 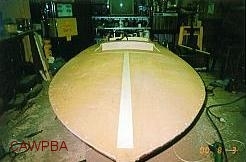 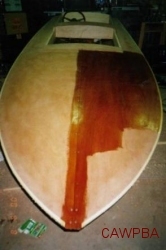 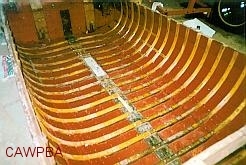 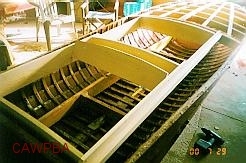 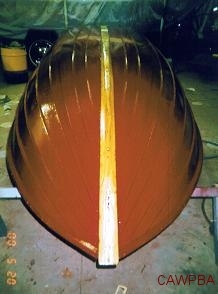 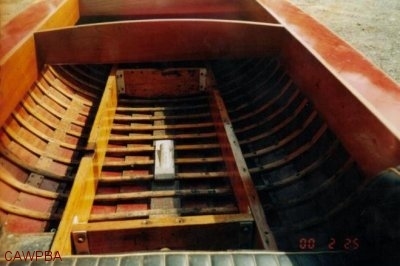 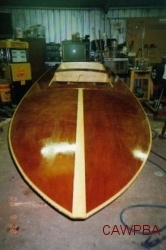 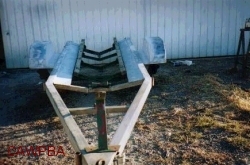 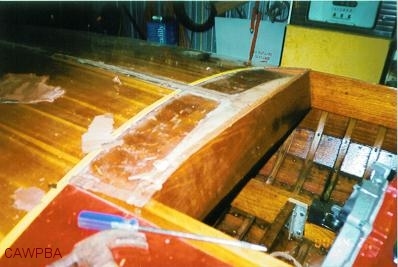 Paul completed restoring the boat back to its original configuration in 2002. 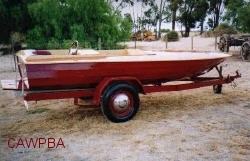 A 6 cylinder Holden 138 ci motor was eventually chosen to power the craft. 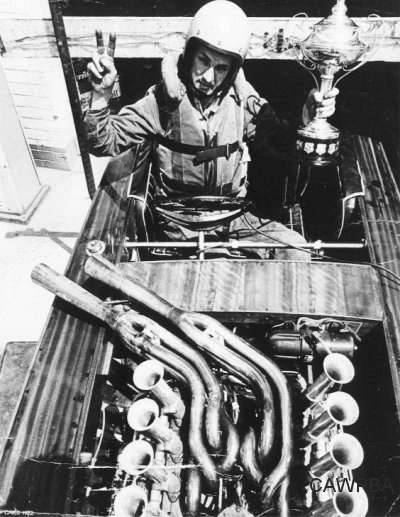 The caption to the photograph on the left read "Ron Hull displays his typical 'mild to wild' driving style while pushing Ian Harvey's 155 c.i. 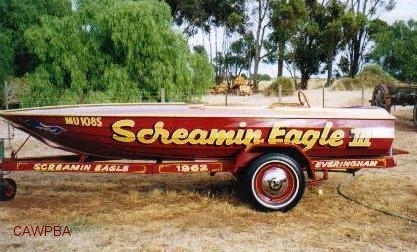 skiff SCREAMIN EAGLE to the ragged edge". 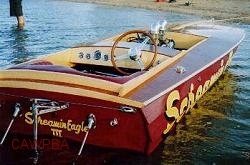 After many years in hiding, the "Eagle has landed". 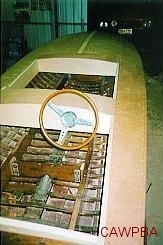 Cockpit, bulkheads and engine bay frames built up and fitted. 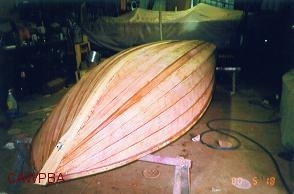 Silver Ash was the timber used.